BIG FAN. Tyler Baumgart – a.k.a. 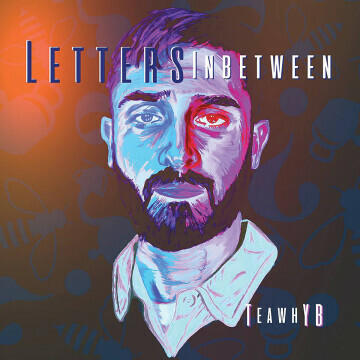 TeawhYB – is set to drop his debut EP, Letters Inbetween. After years of rapping for fun, the EP is about making a statement that crosses genres, hits hard, and relates to every listener. Nearly a decade ago, Tyler Baumgart – a.k.a. TeawhYB – was rapping for the fun of it. The Green Bay native was a kid in high school with a lot of time on his hands without a lot of outlets for his creative expression, so making music on the fly was a good pastime. Baumgart steadily made raps throughout high school and his college life at UW-Eau Claire, toured around playing shows, and had a good time doing it. But, as they say, life comes at you fast. Graduation proved to be a tumultuous time for the young artist, with a complicated breakup, the throes of entering adulthood, and a personal identity crisis dealing with his sexual orientation. So he took a break from music, got a job, built up his résumé, and started to even his life out a bit. And about a year ago, Baumgart finally decided the way ready to start making music again, and this time do it differently – do it the right way. After a string of singles throughout 2018 – the first of which premiered on his hometown radio station 95.9 KISS FM – TeawhYB is ready to make his a proper debut. It’s a five-song EP called Letters Inbetween (a reference to his artist name and the interpretive nature of his lyricism). The EP finds the local artist hitting all kinds of checks in genres like R&B, pop, and yes, rap. “If I’m going to consider myself a rapper or an artist in the hip-hop genre, you gotta come with some bars,” he said. For as many strings of bars there are in the collection, there’s a bigger chunk dedicated to exploring different stylings surrounding the hip-hop genre. 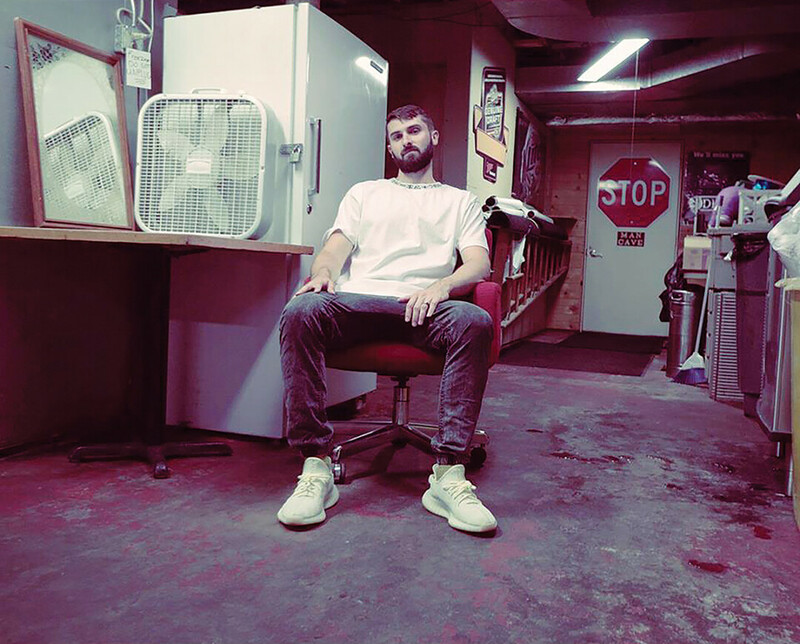 On “A Wrap,” Baumgart showcases his freestyle skills with a hard-hitting two-minute verse, putting to rest any doubt of his lyrical chops. But elsewhere is where the EP comes full circle. Tracks like “Tall Strings” and “Hero” blend an autotune-drenched R&B style with trappings of modern rap and massive-sounding beat production. Then the EP closer “Far Away” is a straight-up pop gem proving that Baumgart not only has bars, but he’s also got pipes. And with his new style, perhaps most importantly, Baumgart is making a concerted effort to not fall into the lyrical traps of modern rap that commonly glorifies drugs and misogyny. Letters Inbetween – as will be the case with all of his forthcoming work – contains completely genderfluid lyrics (no “he’s” or “she’s”) to make them as relatable as possibly for every listener. It’s a challenge – one that subverts his early work even – but it’s one worth taking. Letters Inbetween, the debut EP from TeawhYB, releases on Jan. 10 on all major streaming platforms, and you can join Baumgart at the EP listening party at 7pm at The Local Store on Jan. 12.